One of my personal favorite episodes was when I explained what Growth Hacking was and the philosophy behind it that fuels lead generation through digital marketing. This week I have the pleasure to interview Mostafa M. El-Bermawy, a true growth hacker. 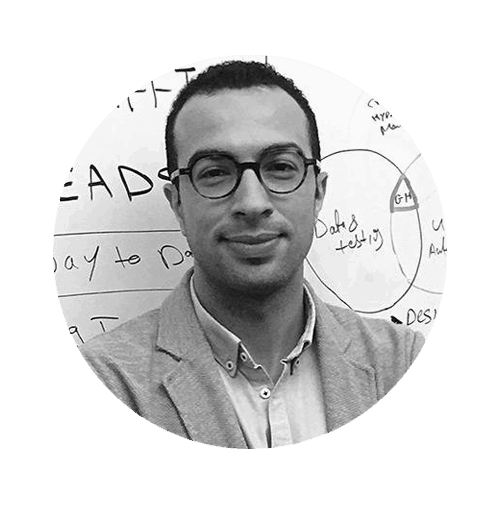 Mostafa is a seasoned SaaS and eCommerce growth hacker. Over the past 9 years, Mostafa has helped brands such as American Express, P&G and Ford refine their growth marketing strategies and tactics. After running a successful web development and SEO business out of college, Mostafa decided to mix his technical and analytical skills with his passion for marketing. He is also a regular tech contributor for the BBC and his writing has appeared in publications including Wired and Fortune. He currently lives in New York where he runs Berma & Co. In this episode we talk about how Mostafa got started in doing Growth Hacking and he gives 2 lead generation tips that any business can do. We dive a bit deeper in Local SEO. If you need to, check out our episode on Local SEO to get the foundation so that these tips will make sense. The sky scraper technique is simply looking at your competition’s content and then deciding to do a bigger and better piece of content (like sky scrapers do). Tough question but here is my quick strategy take on it. I would personally do a combination of organic content marketing and outbound emails and cold calling. I would start with the later until content picks up. If it’s a lightweight software, product hunt features, quora and pr/content listing would work. Linkedin could be effective if you have the right support network. This was a great, informative episode with an outstanding and obviously very knowledgeable guest. Thank you! Mostafa was an amazing guest! If I had him back, what would you like me to have him cover?